Updated 3rd February: Jerry’s Girls are Anna-Jane Casey, Ria Jones and Sarah-Louise Young. Anna-Jane Casey was recently seen starring in Forbidden Broadway at the Menier Chocolate Factory and Vaudeville Theatre. West End credits include Mrs Wilkinson in Billy Elliot, Lady of the Lake in Spamalot and Velma Kelly in Chicago, with other recent work including appearing as lead vocalist with the John Wilson Orchestra in the UK Tour of Cole Porter in Hollywood, Company at Sheffield Crucible, The Comedy of Errors at the Open Air Theatre and Sunday in the Park with George at the Menier Chocolate Factory. Ria Jones’ many West End credits include Grizabella in Cats, Fantine in Les Miserables, The Narrator in Joseph and the Amazing Technicolor Dreamcoat and Svetlana in Chess. Other work includes the UK Tour of West End Women, 42nd Street at Leicester Curve, Nine at the Donmar Warehouse and the UK Tours of High Society, Acorn Antiques and The Witches of Eastwick. Ria also performs worldwide as a concert soloist. Sarah-Louise Young has been voted one of Time Out's Top Cabaret Acts and Best Musical Variety Act in the London Cabaret Awards. She has guested with Fascinating Aïda and is a member of Showstopper! The Improvised Musical. West End credits include her solo show Julie Madly Deeply at Trafalgar Studios. She has performed her other solo piece, Cabaret Whore at the Adelaide Cabaret Festival, Soho Theatre and Off-Broadway. 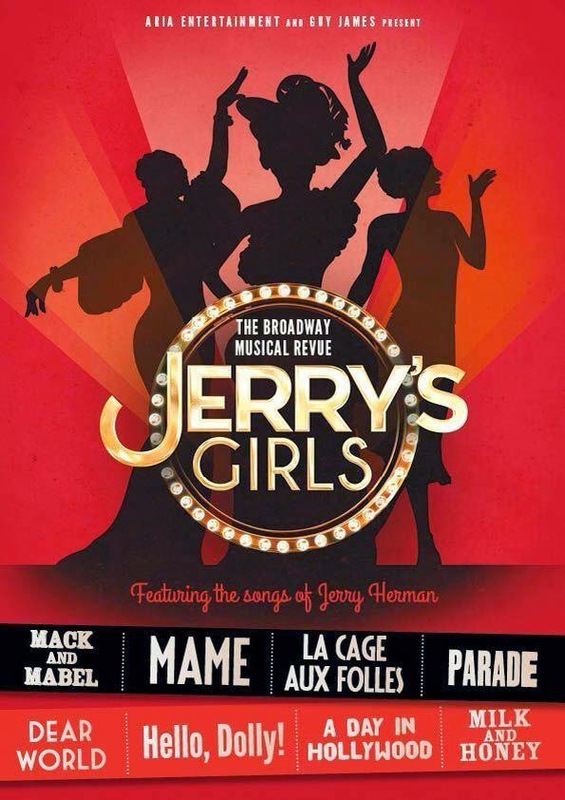 Aria Entertainment and Guy James are presenting Jerry’s Girls at the St James' Theatre Studio from 3rd-15th March. The musical revue is based on the songs of composer and lyricist Jerry Herman and will be Directed by Kate Golledge. The revue was created by Herman and Larry Alford in 1981 at Onstage, a nightclub located in the Theater District in midtown-Manhattan. After La Cage aux Folles opened two years later, producer Zev Bufman approached the pair and suggested they mount a full-scale, all-star version. In 1984 the expanded show premiered in Palm Beach, Florida, with Carol Channing, Andrea McArdle, and Leslie Uggams, with an all-female chorus, recreating scenes and songs from Herman’s hits, including Hello, Dolly!, La Cage Aux Folles, Mame, and Mack and Mabel. Chita Rivera was nominated for her role in this musical at the Tony Award for Best Performance by a Leading Actress in a Musical 1980s at the 1986 40th Tony Awards. Casting still to be announced.